You Have To Pass A Test Before You Can Become Superman!!! A little while ago I reported on who would be the new Superman. He was Henry Cavill. Read about that HERE. 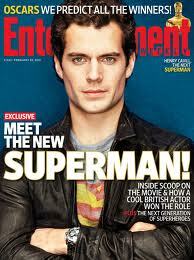 Over at EW, they sat down with the new man of steel and asked him a few questions. During the interview, EW asked Cavill on how he got the role and what certain “important” criteria went in to the process to choose him. CLICK HERE FOR THE WHOLE STORY!!! This entry was posted on Thursday, February 17th, 2011 at 3:24 pm	and is filed under Film, News. You can follow any responses to this entry through the RSS 2.0 feed. You can skip to the end and leave a response. Pinging is currently not allowed. « Buffalo Springfield to Tour in 2011?